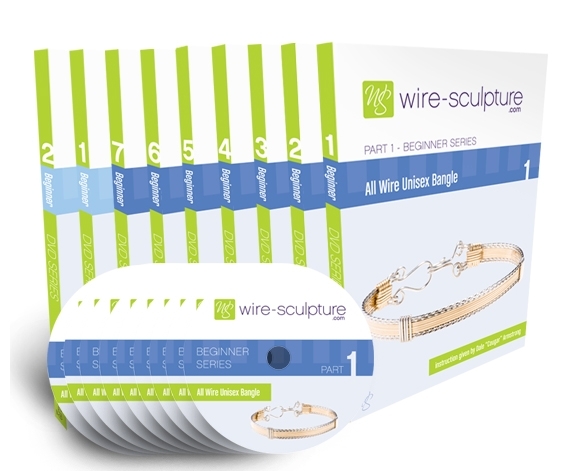 When you have a solid grasp of wire jewelry components, you’ll be completely unstoppable as a jewelry designer! 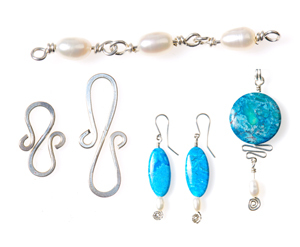 From wrapped loops to component links to making your own clasps and ear wires, these techniques will be great tools to tackle any wire jewelry pattern, plus, they’ll lay the foundation for your own inspired wire jewelry creations! Each of these components can be used in multiple ways. You decide if you’d like to leave them as components for a simple design, or combine them for intricate, mystifying jewelry designs! As Dale always says, Versatility = Affordability – and the more uses you can think of for these wire components, the more designs and sales you’ll make! When you order this class, you’ll have immediate access to view it and download follow-up directions. You’ll have access to the video and directions PDF for 30 days. You can save the directions on your computer, and even print them, so you can have a copy forever!